Because we specialize in the Urgent Care industry, we can quickly provide the data resources and analytics you need to make superior Urgent Care site decisions. Let us know of any markets of interest to you anywhere in the country (including Alaska & Hawaii) and we’ll map out the top Opportunity Zones. 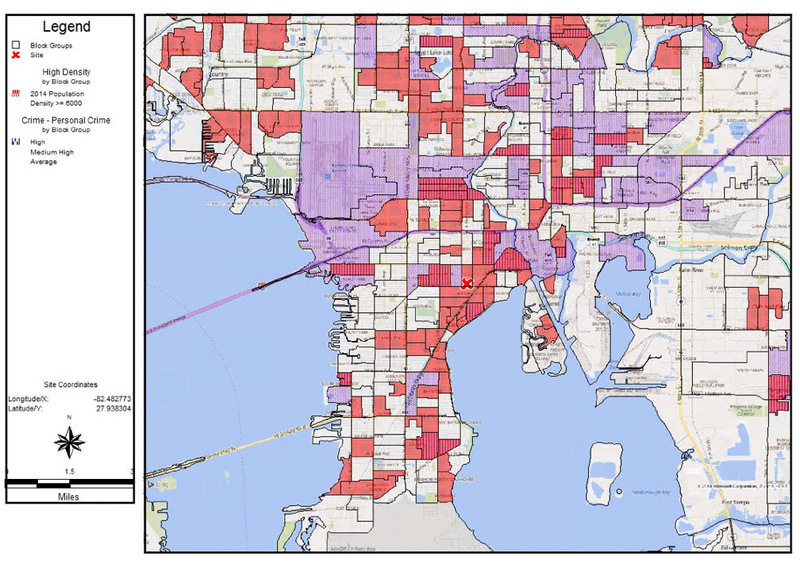 We validate Opportunity Zones based on dozens of key factors including Demographics, Psychographics, Urgent Care competition, Medical Alternatives, Crime Statistics, Retail Density and Placement, and ACS Insurance Ratios. 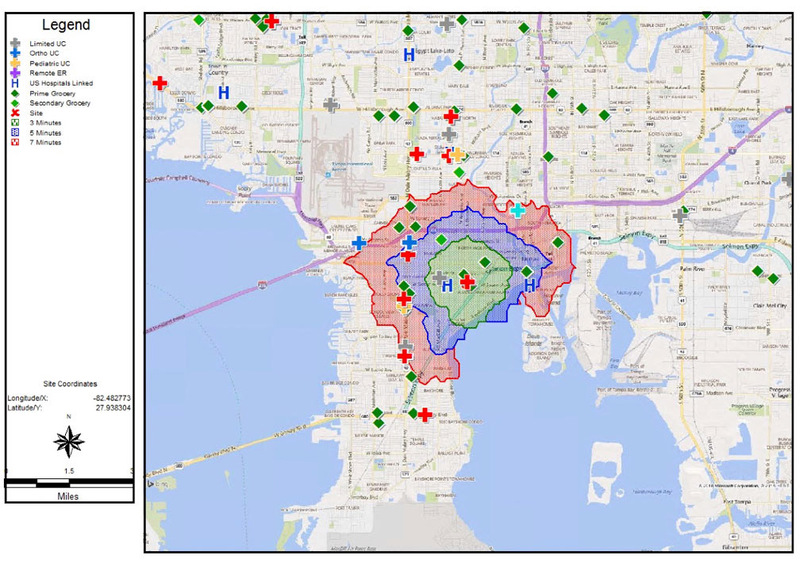 Each year we invest over $200K in GIS software, data, and Urgent Care market research to help us find the best Urgent Care sites for our clients. Our advanced GIS software allows us to break down any Radius Ring into 4 quadrants to get a better picture of the make-up of a trade area. 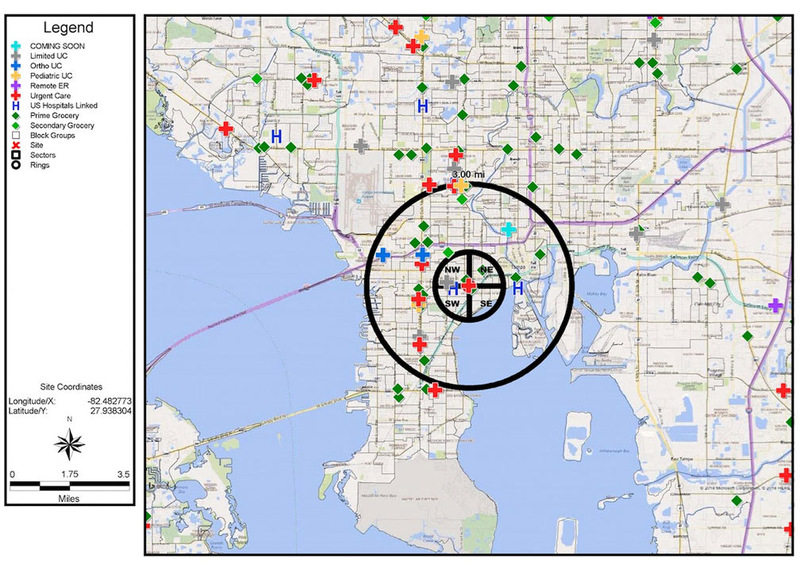 We also analyze sites based upon Drive Times. Drive Times tell us about a very important factor for an Urgent Care operator – convenience. It is very important that we understand how long patients must drive to reach a clinic. Sometimes it makes sense to analyze data variables at a U.S. Census Block Group level. Census Block Groups typically contain between 600 and 3,000 people with an optimum size of 1,500 people. We find the Best Defendable Locations for your Urgent Care Clinics!